A pioneering researcher and one of the world’s foremost experts on traumatic stress offers a bold new paradigm for healing Trauma is a fact of life. Veterans and their families deal with the painful aftermath of combat; one in five Americans has been molested; one in four grew up with alcoholics; one in three couples have engaged in physical violence. Such experiences inevitably leave traces on minds, emotions, and even on biology. Sadly, trauma sufferers frequently pass on their stress to their partners and children. 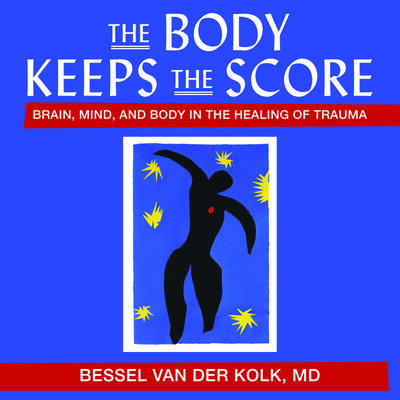 Renowned trauma expert Bessel van der Kolk has spent over three decades working with survivors. In The Body Keeps the Score, he transforms our understanding of traumatic stress, revealing how it literally rearranges the brain’s wiring—specifically areas dedicated to pleasure, engagement, control, and trust. He shows how these areas can be reactivated through innovative treatments including neurofeedback, mindfulness techniques, play, yoga, and other therapies. Based on Dr. van der Kolk’s own research and that of other leading specialists, The Body Keeps the Score offers proven alternatives to drugs and talk therapy—and a way to reclaim lives.